Just how far did President Obama go to seal his nuclear deal with Iran? Apparently so far as to derail an anti-drug trafficking effort waged by Hezbollah. Project Cassandra began in 2008 after the Drug Enforcement Administration was convinced that Hezbollah was amassing $1 billion a year from drug and weapons trafficking, money laundering and more. Operating out of Chantilly, VA, agents went undercover to map Hezbollah’s illicit networks and follow cocaine shipments. The project got in the way of the Obama administration's nuclear agreement, new reports suggest. In an attempt to build up the "moderate elements" of Hezbollah, the Obama White House was "reluctant" to punish its leaders. Perhaps that can explain why the U.S. failed to pressure the Czech government to extradite Lebanese arms dealer Ali Fayad to the U.S. He is now believed to be "back in business," helping to arm militants in Syria and elsewhere with Russian heavy weapons. Ari Fleischer, former White House press secretary for President George W. Bush, took the report to mean that we have found evidence of collusion after all. Former Obama officials denied Project Cassandra's claims that they sought to derail anti-Hezbollah efforts for political gain. 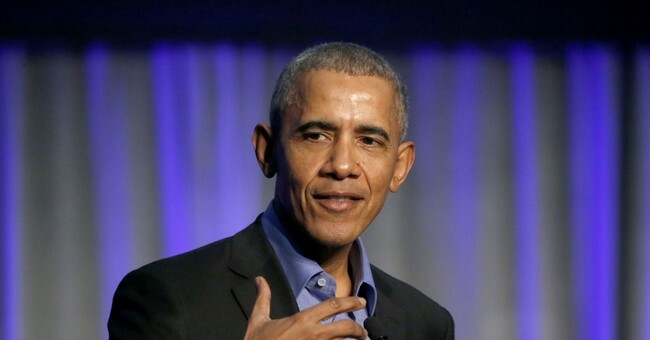 “There has been a consistent pattern of actions taken against Hezbollah, both through tough sanctions and law enforcement actions before and after the Iran deal,” said Obama spokesman Kevin Lewis. As we know, this is not the first report to suggest the Obama administration went to great lengths to secure the nuclear deal. A New York Times Magazine report revealed that former deputy national security adviser Ben Rhodes intentionally mislead the American people and "manufactured" a story about how Iranian leadership had new, moderate voices. "The idea that there was a new reality in Iran was politically useful to the Obama administration," the Times wrote. In October, President Trump announced that he is not going to re-certify the Iran nuclear agreement. This means the deal will be reviewed by Congress and if sufficient changes are not made, the U.S. will officially back out.